Your average person may not spend too much time thinking about trees, which is regrettable, because they are true wonders, and without them, life on Earth would be nearly impossible. It is trees that supply us with oxygen, serve as a major resource of food and medicine, and give us shade when the sun is too hot to bear, to name a few essential functions. Some trees are truly magnificent, and the sight of what they can grow into can captivate. Examples range from the maple-tree tunnel in Oregon to the giant baobab trees common in Madagascar. While there are an estimated 100,000 different species of trees, only one of them is “Mr. President.” Like other trees, the President Tree has specific traits and characteristics. In its case those traits are outstanding. 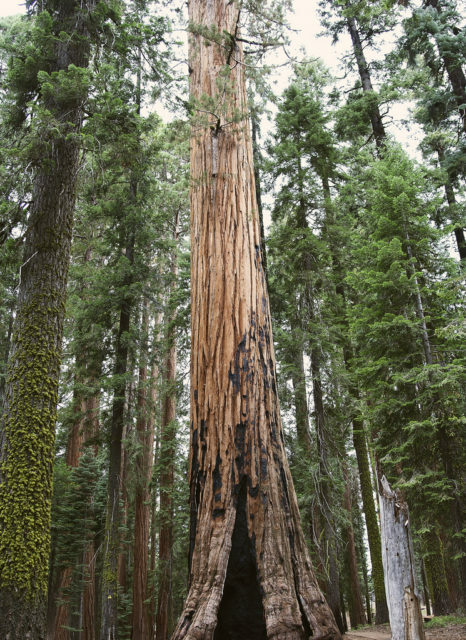 It is considered the oldest sequoia tree in the world, estimated at 3,200 years old. It is also so tall that photographers have repeatedly failed to capture it in a single picture. The President Tree is one of the three largest trees measured by volume in the world. 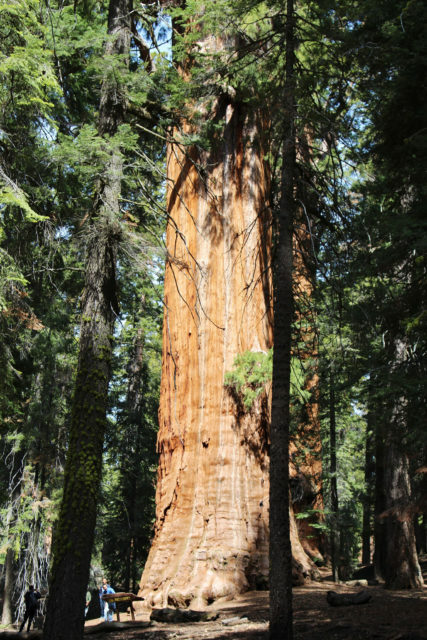 It is a runner-up to the General Sherman and General Grant giant sequoias. The size, volume, and age have been confirmed by Steve Sillet, a research scientist at Humboldt State University. It is as tall as many of its mighty relatives, but it turns out to be way more massive than the others. The wondrous architecture of the President Tree is darkened by lightning strikes that hit the very tip of it, but the tree still stands at a whopping 247 feet tall. The President’s colossal branches jut out from halfway up and hold millions of leaves; compared to its bigger counterpart, General Sherman, the President still retains a much healthier and fuller crown. Furthermore, its trunk has been measured to be 45,000 cubic feet, while 9,000 cubic feet add to the overall weight, thanks to its branches. 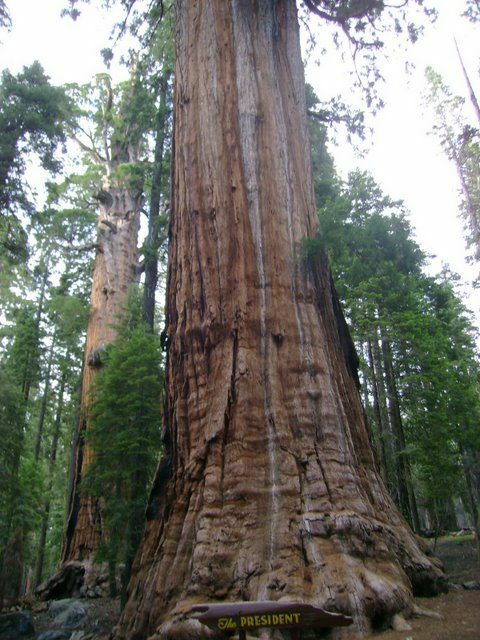 The tree can be seen in the Giant Forest of Sequoia National Park, east of Visalia, California, and it picked up its name after President Warren G. Harding in 1923. A number of other trees around it followed a similar fashion of obtaining names. The 27th largest sequoia in the world, known as Chief Sequoyah, is close to the President. 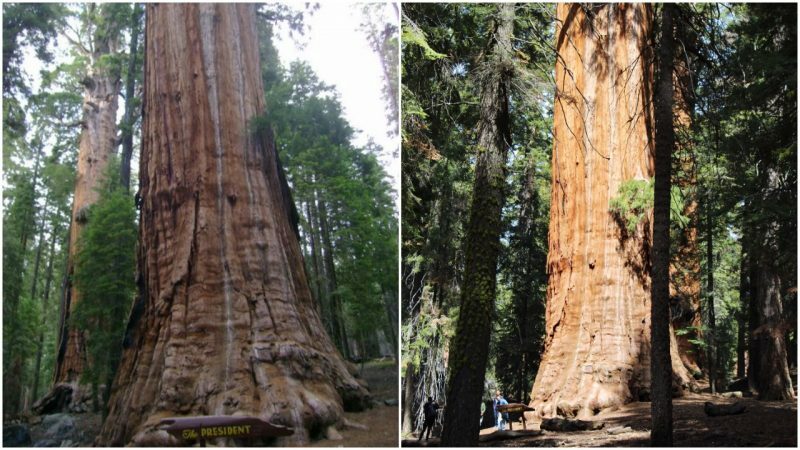 Two dense medium-size stands named the “Senate, ” and “House” can be seen around too.The sequoia’s lifespan exceeds the lifespan of any other tree in the world. 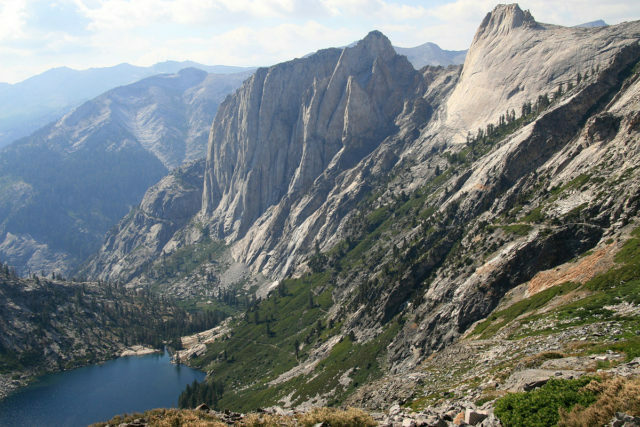 It is because sequoia trees are extremely resilient, and serve as perfect agents for pulling carbon out of the atmosphere. A comparison of the Sequoia with the weak-rooted white firs, for instance, tells us that white firs die out easily and then emit carbon back into the air, but sequoia trees are rot-resistant and they won’t produce carbon for long periods of time after their death.Aside from California, where these trees are native, nowadays they can be seen in a number of other places such as the British Isles and New Zealand because seedlings have been carried there by collectors of exotic plant species. The President remains one of the most outstanding representatives of its kind. That is not only due to its age of more than three millennia, but also because it gains approximately one cubic meter of volume each year, and by that it retains the status as one of the fastest-growing trees on the planet. To photograph this majestic tree, a team of National Geographic photographers used pulleys and levers to scale it. After a total of 32 working days and using an innovative mosaic technique of 126 photos, they enabled the world to finally see this wonder of nature in its full glory, in one image.